real-world scenarios. In just a matter of days, you'll be more productive and embracing new technology standards. Our online resources and events enable you to focus on learning just what you want on your timeframe. deployment challenges around the world. Below are different training course options. Get the knowledge you need from the comfort of your own desk. Projectmates University is a library of free videos and webinars covering all major areas of the software and best practices for usage. In as little as 5-10 minutes, users can learn how to use a module within Projectmates and be more productive with it. Pulling from industry and in-house experts, Systemates is dedicated to assisting business decision-makers to develop, design and expedite cost-effective approaches to managing projects of any scale. Visit Projectmates University to learn more about our product. Users are introduced to the Projectmates software and are presented with examples and assignments, followed by questions and answers. The later part of the training contains Project Administrator functions and advanced customization training. Our trainers can travel to your site for the training. Alternatively, you may choose to attend training at training facility in Richardson, TX. Our first-rate instructors can customize training courses to focus on your team's exact needs. This allows you and your team to learn real-world, mission-specific examples to ensure your project's success. Our first-rate instructors can customize a train-the-trainer course to focus on your team's exact needs. It allows you and your team to learn real-world, mission-specific examples to ensure your project's success. We bring the training to you so that team members can learn at their own pace. Courses can be planned around individual and department schedules. Alternatively, you may choose to hold training at our training facility in Richardson, TX. By employing advanced web conferencing technologies, our trainers deliver high-quality, interactive instruction to users anywhere around the globe. This training course is designed for existing users who need to learn new modules or enhance their knowledge of Projectmates software. Since this course is designed to provide existing users advanced knowledge about specific functionalities, our trainers work with you to prepare a training outline to focus on your exact needs. Our trainers offer suggestions for implementing your existing processes in current Projectmates modules. This allows you and your team to learn how to use Projectmates' functionality using real-world, mission-specific examples. 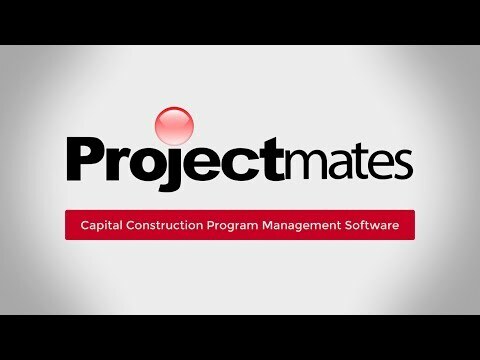 You will return to work knowing advanced Projectmates software features ready to implement. The trainer was great with leading us to success. The trainer was great with leading us to success. When he was presenting he stayed at a pace that everyone could keep up with. He was very friendly and made it easy to keep up. Everything about the training provided me with the tools and information to complete my daily tasks.